Harlequin is doing something different with the Nocturne line–they’re available in paperback through their book club thingie, plus in bookstores four times a year in batches of “doubles.” (My double is paired with Jenna Kernan and her title The Shifter’s Choice.) And then they’re available digitally wherever you can buy such things. I won’t fib and say the duo is highly available in bookstores. They’re around, and they can be ordered. But if I was hunting the things down, I’d go looking online. This is a change that Harlequin is pretty excited about, but you know…I also won’t fib and say that I am, too. *Can we say “the Demon Blade books”? Yes, I thought so. In the background, Leopard Enchanted is in production for August, and while at the moment I’m doing *shudder* taxes, I’m about to plunge into revisions on all three of the Reckoners books. The first two were originally published by Tor, and I wrote the third last year–all three will be available later this year. But first I’m taking this opportunity to revise Reckoners to the Author Cut: scenes that were never written because they weren’t what the publisher wanted to see, vs what I’d really wanted to write. But now I can put them in! W00t! Time is running out for Sentinel Alpha Phelan Stewart…for a new enemy has risen, and only reluctant Sentinel ward Holly Faulkes can unmask the danger. Wayward Sentinel Holly Faulkes lives a practical life formed by the need to hide from Atrum Core enemies, Sentinel allies, and the world at large. Now things are changing whether she likes it or not…but the Sentinels are in for a surprise if they think she’ll come meekly. Lannie Stewart is an alpha wolf with an innate ability to build pack—but he’s never faced a full-blooded field Sentinel denying her own heritage even as he begins to lose his grip on his own. 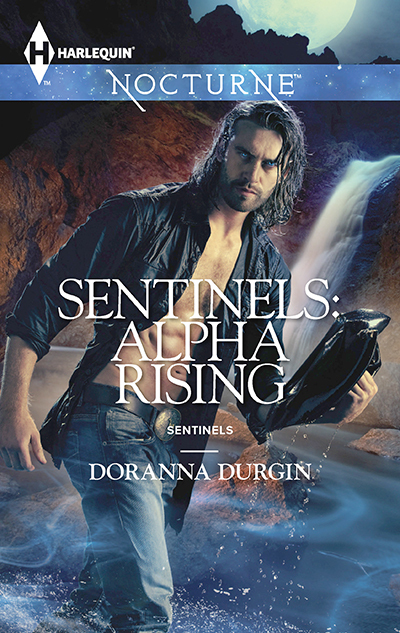 Holly is about to learn exactly what these misguided dreamers called Sentinels do, and exactly why she’s so important to them–especially when it comes to one lone alpha wolf.